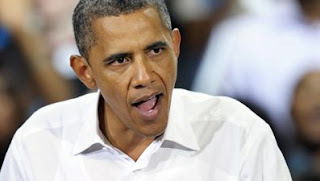 The American Cowboy Chronicles: Obama's Joe Soptic says "It all had a happy ending,"
Obama's Joe Soptic says "It all had a happy ending,"
I've been asked to change the title of this article. From "Obama's Joe Soptic" to simply "Joe Soptic." But I can't see why? Joe is doing commercials for Obama. It's just that simple. Obama's Joe Soptic says "It all had a happy ending," but you'd never think that that was the case judging from the Obama Re-Election 2012 Campaign commercial Joe took part in. A proxy liberal Political Action Committee of the Obama administration, Priorities USA, has Joe Soptic calling Mitt Romney a murderer, a felon, a no good man who intentionally led his first wife die. This is an all time low in politics, even for Democrats! So a regular looking guy appears on screen, he's sitting down, and almost tearfully tells us a story about how Mitt Romney is responsible for killing his wife. No kidding. This is real. It is an Obama re-election ad that's being run by a liberal Political Action Committee, a nasty group called Priorities USA headed by a former Obama staffer. Did I say that the Obama White House is running this ad? Well they say they are not. Priorities USA is supposedly an "independent" group unaffiliated with the Obama White House. But honestly, who fooling who! It's the Obama re-election committee's standard attack of Mitt Romney. Their Chicago politics and go for the throat philosophy is being played out daily on televisions across the country. First they tried to attack Romney's religion, but unlike 4 years ago that hasn't taken hold as they had hoped. Then they tried to attack his wealth, but since his opponent is just as wealthy - that fell flat. They went after his business experience and the businesses he built. They've gone after his tax records, his bank accounts, his stocks, his dog, his family history. In fact, they've even attacked his wife's horse that she used to battle her MS as a source of therapy. The latest attack tries to say that portray a former steel mill worker by the name of Joe Soptic losing his health care and then his wife to cancer because of Mitt Romney. 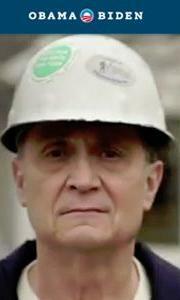 Joe Soptic, a former steel mill worker, appears in a new ad that tries to link his first wife’s death with Mitt Romney and Bain Capital’s takeover of the steel plant where he worked. Of course, today, August 9th, it was reported that Joe Soptic has admitted to getting a 'buy out" when the plant was closed - something that was conveniently left out of his initial story or the liberal attack ad. But besides the facts of the story, a lot more is not right! President Barack Obama's re-election campaign washed its hands Wednesday of an independent group's vicious lie that is basically blaming Mitt Romney for the death of a laid-off steelworker's wife from cancer. The Obama campaign has denied any knowledge of the facts in the case - but it turns out the widower told the same story on an Obama campaign conference call in mid-May. "We have nothing, no involvement, with any ads that are done by Priorities USA. We don't have any knowledge of the story of the family," Obama campaign spokeswoman Jen Psaki told reporters aboard Air Force One on Wednesday. The ad features Joe Soptic, who lost his job and his health benefits after Bain Capital closed the GST Steel plant in Kansas City, Missouri, in 2001. Soptic later told CNN that his first wife had health insurance through her own employer from that point to 2002 or 2003, when she left that job because of an injury - a detail that undermines the ad's heartbreaking story. A detail conveniently left out! "I don't know the facts about when Mr. Soptic's wife got sick, or the facts about his health insurance," deputy campaign manager Stephanie Cutter told CNN on Wednesday. But there's a problem. As Politico first reported, Joe Soptic told essentially the same story in a May 14, 2012, conference call hosted by the Obama campaign. "After we lost our jobs, we found out that we were going to lose our health insurance, and that our pensions hadn't been funded like Bain promised they would be. I was lucky to find another job as a custodian in a local school district. They gave me some health insurance, but I couldn't afford to buy it for my wife. A little while later she was diagnosed with lung cancer. I had to put her in a county hospital because she didn't have health care, and when the cancer took her away, all I got was an enormous bill. That put a lot of stress on me: I thought I'd be paying it off until I died myself. That probably wouldn't have happened if Bain kept its promise and I was allowed to keep our health insurance." "It's upsetting what Mitt Romney and his partners did to us," he added. Talk about messing with the facts! The revelation drew an immediate rebuke from Romney campaign spokesman Ryan Williams, who said Obama and his campaign "are willing to say and do anything to hide the president's disappointing record." "But they're not entitled to repeatedly mislead voters," he said. Fact: Mitt Romney had left Baine Capital in 1999, Joe Soptic's first wife Ilyona “Ranae” Soptic died in 2006 while Mitt Romney was in fact Governor of Massachusetts. It's not all about Joe Soptic, or if he's telling the truth or leading us on - it's really about more lies from the Obama re-election Campaign. The Washington Post describes Joe Soptic, 62, as the "go-to figure for supporters of President Obama," appearing this week in his 2nd campaign ad talking about being laid off from GST a Kansas City, Missouri, steel mill that was taken over by Bain Capital in 1993. In the ad, released Tuesday by the liberal super PAC Priorities USA and titled "Understands," Joe Soptic makes his most heated claim to date, suggesting a link between his wife’s death five years ago and Mitt Romney by way of the Bain Capital takeover. The ad has Joe saying "When Mitt Romney and Bain closed the plant, I lost my health care, and my family lost their health care. And a short time after that, my wife became ill ... she passed away in 22 days." Wow! Tough ad huh? Too bad it's not true! The truth: Mitt Romney had nothing to do with closing GST, he was already gone when the plant closed a few years later. As for Joe's first wife Ilyona “Ranae” Soptic, she had health insurance from where she worked - and was covered until she died in 2006. Joe Soptic did lose his health care after the plant closed even though he was a member of a Union. His union did not provide him with any sort of supplemental health care coverage after the plant closed. In reality, the GS Technologies (GST) plant that Barack Obama has used to attack Mitt Romney was scheduled to be closed whether or not Mitt Romney and his partners had bought or not. Baine Capital bought the plant in an effort to keep it alive and not go under. Mitt Romney tried to help turn GST around. It started in 1993 when Bain Capital had invested in and in fact purchased GS Technologies. GST was a struggling Kansas City steel plant from Armco. Prior to this investment, Armco announced plans to close the Kansas City plant if a buyer could not be found. Armco Steel bought the steel plant in 1930, and expanded it in 1945. At its peak in the 1950s, it was one of Kansas City's largest employers with more than 4,500 employees. It operated as Armco Worldwide Grinding System until it was sold in 1993 to GS Technologies which became GST Steel Company. The investment – and $170 million in upgrades – kept the Kansas City plant competitive in a tough international market and saved steel workers' jobs for eight years. In 1999, two years later, Mitt Romney left Bain Capital and the GS Technologies plant was closed because of foreign steel dumping into the U.S. market. Fact: 31 other steel companies declared bankruptcy during the same period because of labor problems and foreign steel dumping into the United States. Some folks in Kansas City say that the 1997 strike, called by the Union at the plant, didn't help keep GST afloat. The union plant had a long hard 3 and a half month strike that nearly ruined the company financially. Some say, thanks to that strike, GST never fully recovered and was forced to close its doors three years later in February 2001. The result was the layoff of the remaining 750 employees. On Wednesday, Obama advisers distanced themselves from the former steelworker and the most recent ad, saying they were unaware of the details of Soptic’s account about his wife. "We don’t have any knowledge of the story of the family," spokeswoman Jen Psaki said on Air Force One. But in addition to running its own ad with Soptic, the Obama campaign featured him in a conference call with reporters in May, when he shared his story. A Conference Call with Obama people, yet they have no knowledge of Joe? What's this all about? Republicans pounced on the discrepancy. "Still no knowledge, Jen?” a news release from the Republican National Committee taunted after reports of the conference call surfaced. When Ilyona “Ranae” Soptic died in 2006, Romney was governor of Massachusetts. Campaigns have long sought regular people to carry their messages to voters, betting that personal stories and plain speaking are more effective than the poll-driven talking points of the candidates and their aides. Democrats have featured workers such as Soptic, who say they lost their livelihoods because of Romney, to suggest that the Republican’s approach to business gutted companies and communities rather than creating jobs. Although the ads typically last a minute or so, the lives and stories that inspire them are more complicated. But why let the facts get in the way of a great story, for example: five years passed between the time Soptic lost his job as a steelworker and his wife’s death, yet the ad seems to compress the timing and suggests a correlation in just weeks. So who is Joe Soptic? Joe Soptic, a lifelong Democrat and union member, said he did an Internet search and found Democratic groups to tell his story - they were first reported in local newspapers several years ago. "This all started back in December . They wanted to know how our lives have changed since the plant closed and how I felt," he said in an interview Tuesday. Joe Soptic, who appeared in Obama’s first television ad about Romney’s record at Bain Capital in May, continued, "I think the reason they keep coming back to me is because of everything that has happened in our life since the plant closed." As a steelworker, Soptic was part of a crew that removed slag debris from underneath furnaces used in the steel making process. His last day on the job came in March 2001, after GS Industries filed for bankruptcy. Soptic, who was earning $46,000 a year, said, "It took me six months to find a job." He was hired as a school custodian, making about $15,000 a year. Joe Soptic sees himself as a sort of spokesman for his Union and his friends, he says, "Everyone is quite proud because the story had to be told." Priorities USA, the super PAC supporting Obama, contacted him about a week ago to alert him to the latest ad, which was partially shot in his home and at the union hall. In it, he talks about the loss of his first wife of 30 years. The ad shows Soptic, the father of a grown daughter, a grieving widower and bitter former steelworker struggling to make ends meet. Yet today, that is only part of his story! Here's the rest of the story! With his Union pension and salary as a Custodian, Joe Soptic actually makes about $46,000 a year. Which of course is what he made 11 years ago in 2001, when he lost his job at GST. He also has a new wife - his High School sweetheart from 42 years ago. "It all had a happy ending," Soptic told The Washington Post. He declined to comment on whether he thinks Romney is to blame for his first wife’s death, as the ad seems to suggest. Referring to his former employer, he said, "They made certain promises, and I feel like if they did fulfill those promises, she would have had health insurance." But is that story true, or is it misleading? CNN reported that Ilyona Soptic had health insurance through her employer when her husband lost his job. But she was not employed, and no longer had coverage years later by the time her end-stage cancer was discovered and diagnosed. Today, August 9th, Mitt Romney asked where all the "hope and change" has gone as President Obama's supporters pressed ahead with plans to air a misleading TV ad and a top campaign aide was accused of "lying" about her knowledge of its contents. The Republican presidential candidate, in his most forceful comments to date, suggested Obama's supporters should be "embarrassed" over the super PAC ad that ties him to a woman's death from cancer. But he wasn't holding out hope that the group would pull it down, after the Democratic operative behind the ad claimed it'll be airing soon in battleground states despite the furor. "You know, in the past when somebody pointed out that something was inaccurate campaigns either pulled the ad - they were embarrassed," Romney said on Bill Bennett's "Morning in America" radio show. "Today, they just blast ahead." The Obama campaign has faced mounting criticism over the ad not just from Romney but independent fact-checkers, though the ad was produced by the purportedly independent super PAC Priorities USA. Further, Obama Deputy Campaign Manager Stephanie Cutter is now being accused by the Romney campaign of lying over what she knew about the man at the center of that ad. Cutter appeared on CNN Wednesday morning to say, among other things, that "I don't know the facts" about the case of Joe Soptic, the steelworker who appeared in the video. Cutter said she didn't know when Soptic's wife fell ill, or about his health insurance. In May, Cutter herself hosted a conference call in which Joe Soptic detailed his case to reporters. During the call, as he did in the ad, Soptic explained how his wife fell ill after he lost his job, and how he lost his health insurance. The call took place as Soptic began appearing in other Obama campaign ads, and was featured in a profile on the Obama campaign website. The Obama campaign has acknowledged that conference call, but has not responded directly to allegations that anyone lied. Cutter wasn't the only Obama campaign official caught up in the controversy. "I certainly don't know the specifics of this man's case," campaign adviser Robert Gibbs said on MSNBC. Campaign spokeswoman Jen Psaki told reporters "we don't have any knowledge of the story of the family." Meanwhile, White House Press Secretary Jay Carney claimed he hadn't seen the ad, though it had already gotten heavy media coverage by that point. Former New Hampshire Gov. John Sununu, a top Romney surrogate, told Fox News that while the super PAC is defending the ad's accuracy, "the lie is in the omissions." The ad did not reveal key details about the timeline of Soptic's case. First, Soptic's wife initially had her own health insurance after her husband lost his job. Second, Soptic's wife died in 2006, five years after her husband's company, GST, filed for bankruptcy. Romney had left Bain Capital in 1999, years before GST went bankrupt. Let's not get the facts in the way of an attack by Democrats. Sununu blasted Obama aides for denying knowledge of the case. "First of all they craft a despicable ad full of lies," Sununu said. "And then Stephanie Cutter and Robert Gibbs and Jay Carney lie to the press that they didn't know anything that was in that ad." Obama has nothing positive to run on, his record in the White House is as bad as that of Jimmy Carter back in the late 70's during the last Economic Depression in America. Obama's presidency has been a horrible experiment in what happens when you put a person with absolutely no experience in the White House. So what does he do? Well, he sure as hell doesn't mention three important facts that his administration wants to forget. First, Obama has not produced a single budget in his 3 and a half years in office; second, America has seen over 40 straight months of unemployment figures under Obama; third, ObamaCare is already costing Americans more than projected; fourth, his immigration policy may be getting him Latin votes - but it's putting Americans at risk; and lastly, Obama has done nothing to address any of these problems. Instead of answering policy questions, his campaign is built on attacking Mitt Romney's successful life. No answers, just more attacks and diversions away from the issues.